Late one night in mid December, I stood in the check-out line at a Target store to purchase several children's toys for a holiday fundraiser. The line was moving slowly, and the people ahead of me were grumbling about the cashier's inability to move things along faster. I understood their frustration---my feet ached from being on them all day, and I desperately wanted to be home in my cozy bed. When it was finally my turn to check out, I was startled to see an elderly woman hunched over the cash register. Her expression was one of weariness and defeat after listening to the harsh remarks from the shoppers in front of me. As she carefully scanned the toys I'd selected, I couldn't help but wonder what circumstances in life had made it necessary for this woman to work through the night in a busy department store. I knew her feet had to hurt far worse than mine, and that she deserved to be home resting rather than putting up with the diatribe from rude customers. I still see my mother as the graceful, vibrant woman she was when she was raising me. She taught me compassion and love through the sacrifices she made for our family. 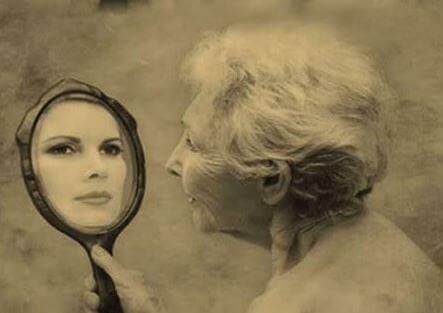 I can only hope to be half the woman that she is, once I reach my eighties. She is, and always will be, my hero. I don't see an "invisible" generation when I look upon the elderly. I see people of strength, wisdom and integrity; the backbone of generations to come.